The pleasure that women get from buying or being gifted handbags is unmatchable. Also, it is a scientifically proven fact that chocolate makes people happy. 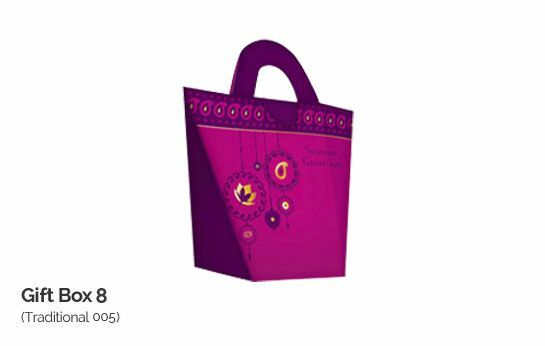 Make the women in your life happy by gifting them chocolates in these beautiful handbag gift boxes. Add charm to your occasions by sending chocolates in these traditional gift boxes. The handle of a handbag is its indispensable part. And since these boxes have handles, the quality of the bags becomes a decisive buying factor. PrintStop offers you a wide range of colorful gift boxes that are not just visually appealing, but are of supreme quality. You can now purchase a personalized gift box at PrintStop. You don’t have to go the extra mile in making someone happy. The appealing designs of these boxes can instantly brighten up one’s day. Your personal touch to the gift can elevate the love and happiness in that relationship. Be your own designer at PrintStop, get creative in getting the box of your choice. You can now get your favorite pictures printed on your gift box. Gifts are special; make them all the more special by adding a personal message to your box. Show that you care; customize your box today! Size : 3.9" x 3.9" x 6.7"